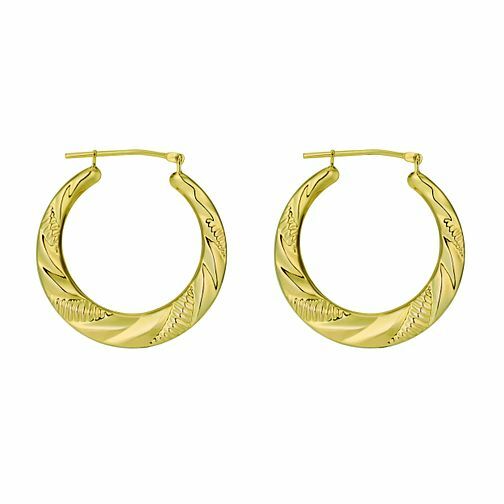 Silver & 9ct yellow gold, bonded Creole earrings. Distinctively designed, these shimmering earrings, feature a beautiful bevelled finish. Whatever the occasion, these earrings work with every outfit.